Topic of the Week: Does Aer Lingus Need Flat Beds? 13 Responses to Topic of the Week: Does Aer Lingus Need Flat Beds? Yes, and they particularly mention SFO which is a 10+ flight. It’s not like they’re at the forefront of flat beds…they’re just catching up which is fine for an airline like EI. Why not offer a service you believe people are willing to pay for? Has anyone defined exactly what a “hybrid” airline is supposed to be? 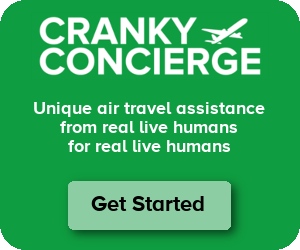 I’ve read a lot of criticism about “cookie cutter airlines” so why do some (not you, Brett) then turn around and criticize an airline when it decides to offer something unique? And a comment: I like airlines that work to distinguish themselves from the competition in one way or another. More power to them. A lot of big company’s have an office in Ireland, so there is business travel to get so offering a product like a flat bed can get some of the high fares the other airlines would be getting. I’m with everyone else, offer what people are willing to pay for. For business travel though I’m guessing that most people would take the US airlines for points/loyalty or route network. I see Lingus as a leisure airline bringing masses over to discover their irish roots, although I’m sure they’d love to break that image. Aer Lingus is nothing more that a flying bus to take people to Ireland. I was in their current Business Class once and in my opinion it was no better that Economy plus except that Liquor was free. Yes, Aer Lingus business class is currently reporting very strong demand and the highest load factors in years, this is impressive for an airline like EI but even more so when you consider Ireland is still battling through the recent recession. The 2015 date also ties in with the introduction of the A350 (due 2016) so launching a new business product in time for this makes sense. They do have “flat” beds but they are slanting-not parallel to the floor. That means one is trying to sleep while keeping from sliding down. As an Engineer, it seems to me that modifying the supports would be much cheaper and quicker than buying all new seats/beds.///BTW-AA is the worst major airline for overseas flights. Business Class has no beds at all-only reclining seats. First Class has slanting beds…….and not all of them are flat. Some have the upper body curved upwards. In 1946 (yes, I am that ancient), our family traveled coast-to-coast visiting the big national parks,etc.via Greyhound for $99 round trip. At that time I learned how to sleep in a reclining chair, and have kept the habit at home and in the air including trans-Pacific flights. I have never seen the advantage of a flatbed in a plane, but agree that those who like them should be able to rent them at a reasonable cost. My vote is NO. I believe this airline can do well without this added attraction.